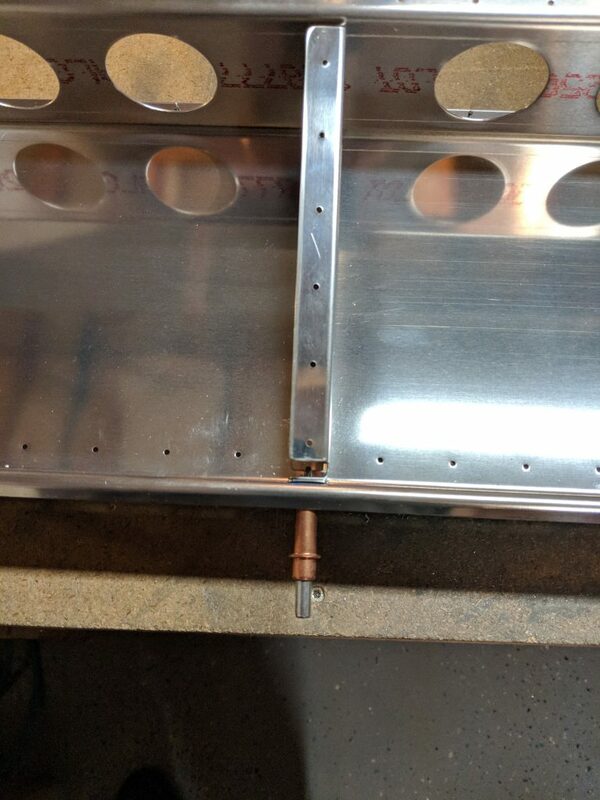 Today, I decided to go ahead and start building the flaps. It was a toss up between ailerons and flaps, and I didn’t want to fool with stiffeners right now, so flaps won. 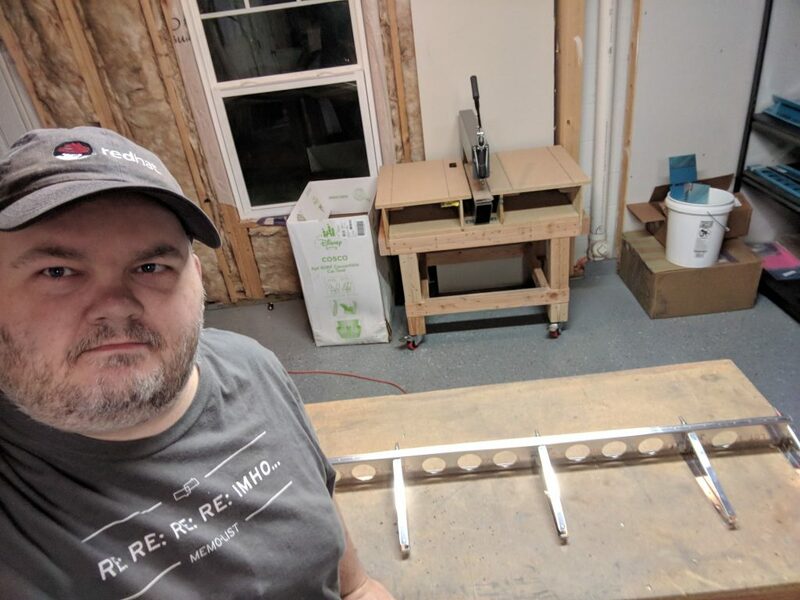 I am skipping ahead to the flaps because its too cold to ProSeal fuel tanks, and I don’t want to take up valuable work room in the shop with the wing stands right now. I read over the instructions for the flaps, and gave the plans a good study to see how they go together. At this point in the build, Vans assumes you can make good decisions and read things so they don’t go into great detail in the instructions. 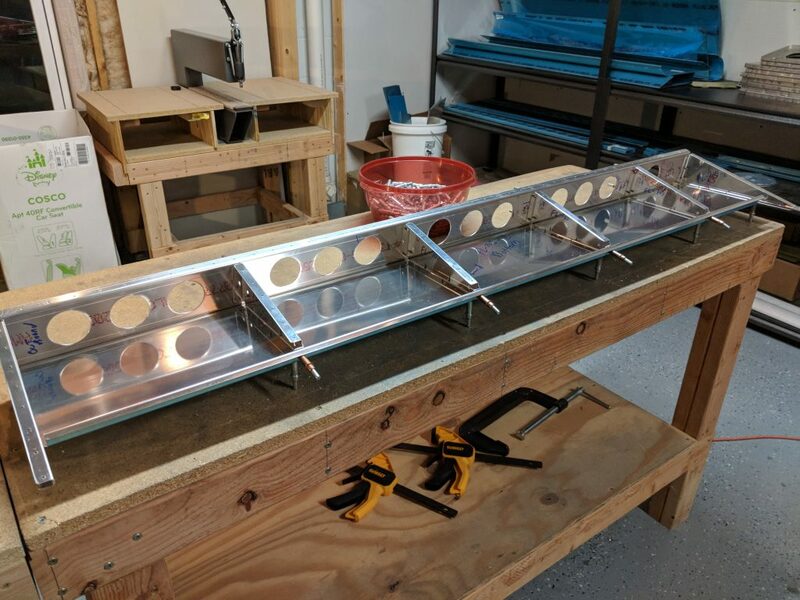 The flaps start off like any other control surface: Preparing the parts! 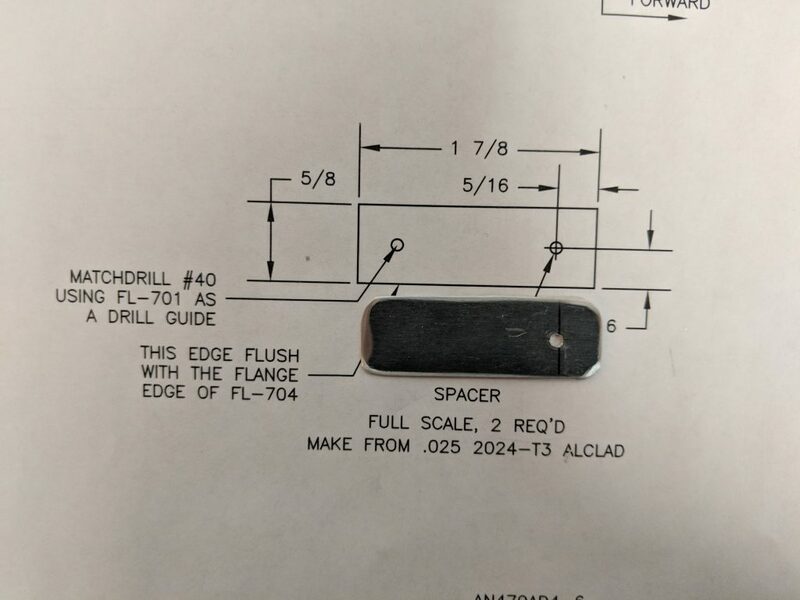 I picked out the FL-703 front spar, FL-704-L and FL-705 ribs and the FL-702-L bottom skin and moved them to my bench. I am doing the Left flap first, since it is the one represented in the drawings. 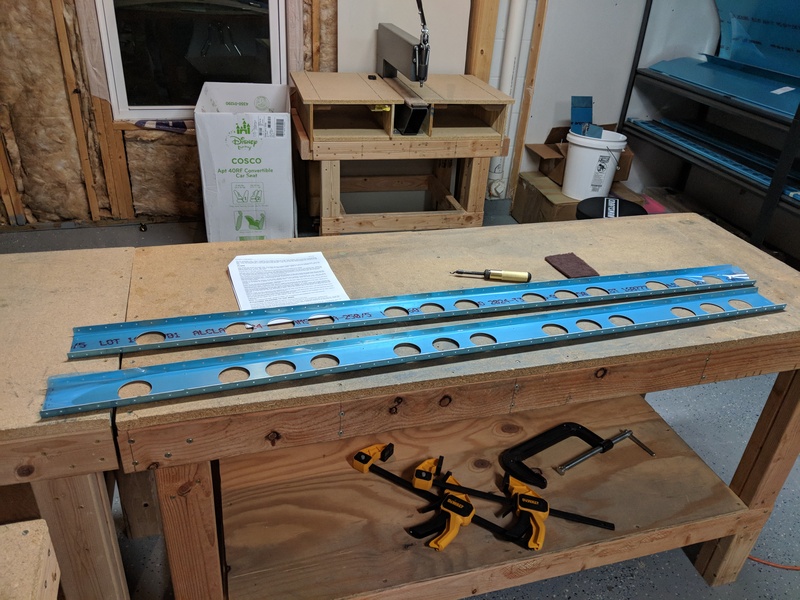 After stripping away the protective blue plastic on the ribs, and the inner surface of the FL-702 bottom skin, I polished up the edges of the ribs on the scotchbrite wheel, and then used a deburring tool and scotchbrite pad to polish the lightening holes in the front spar. 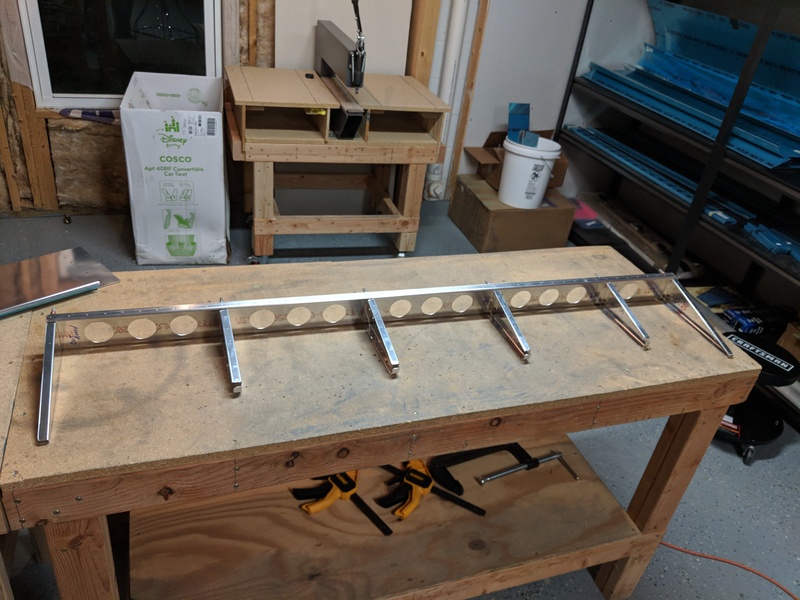 I went ahead and did the polishing on the ribs and spar of the right wing as well, since they are all the same parts. I figured I might as well go ahead and get them done now. No photos of this process since its pretty much the same as my previous deburring/polishing work. 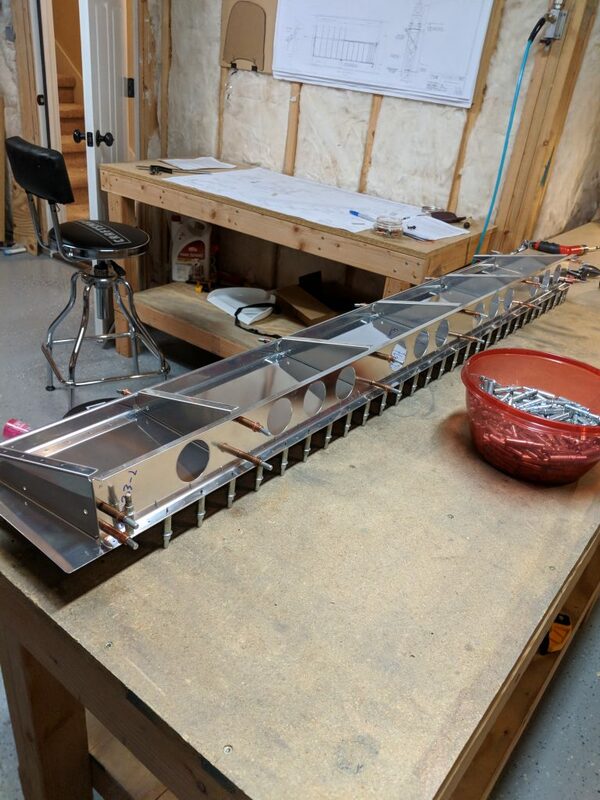 Once all the parts are polished and deburred, the plans has us start assembling the skeleton for the flap but clecoing the ribs to the front spar, and then match drilling all the holes. This is where it starts to feel like I am building an airplane again! 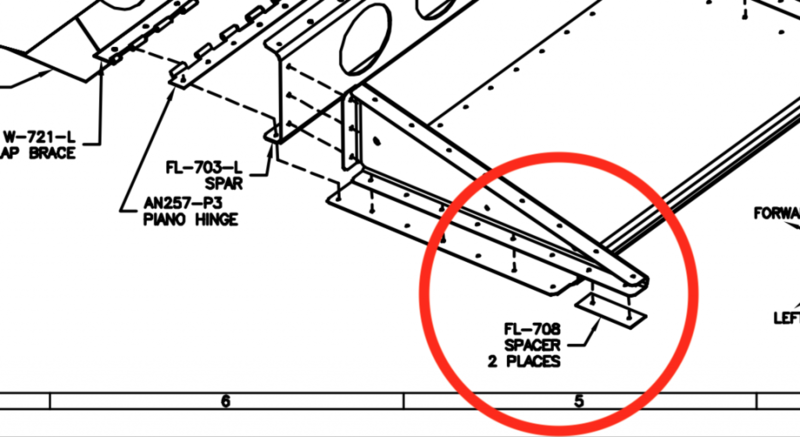 I followed the drawings and made up the shims. 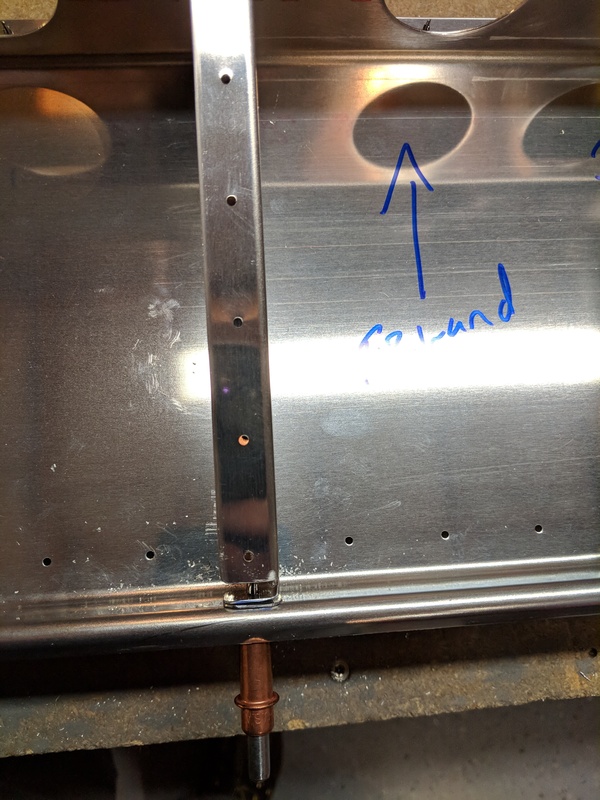 The hardest part was finding the proper .020″ thickness aluminum to use for the shims. 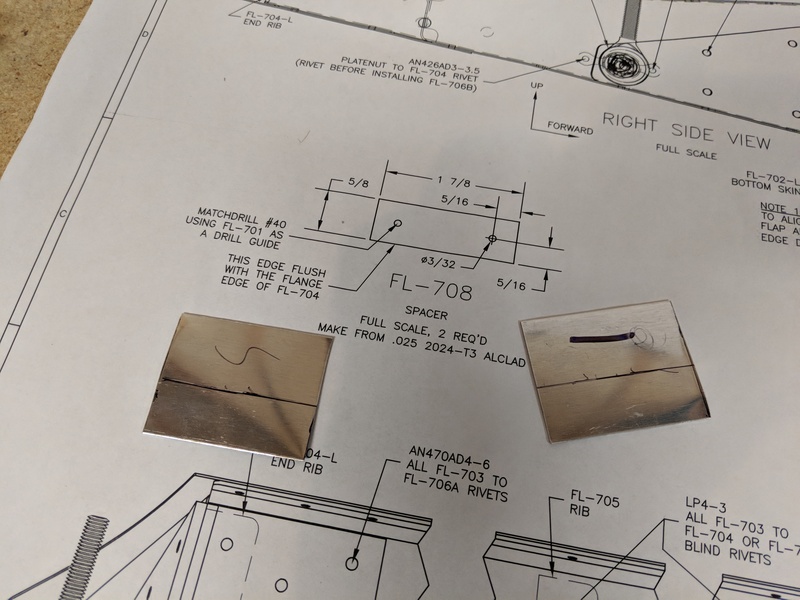 I had to pull out my micrometer to measure the thickness of the trim bundles that Vans includes in each kit, and eventually found some scrap that would be perfect. I then measured and trimmed out the shims per the plans. Tagged Skeleton, Flaps, Lynn. Bookmark the permalink.